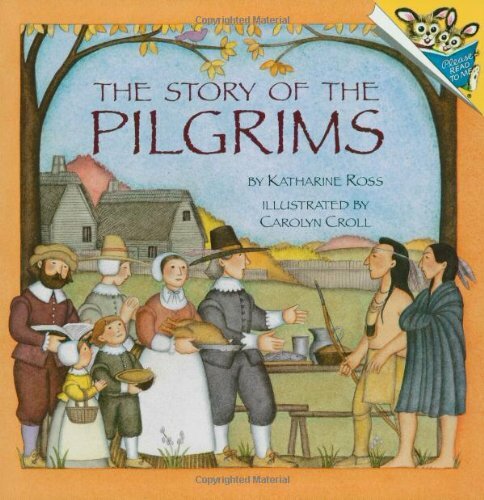 From the dangerous voyage across the Atlantic to the first harsh winter to the delicious Thanksgiving feast, all the excitement and wonder of the Pilgrims' first year in America is captured in this vivid retelling that is perfect for the youngest historians. It's Disgusting and We Ate It! 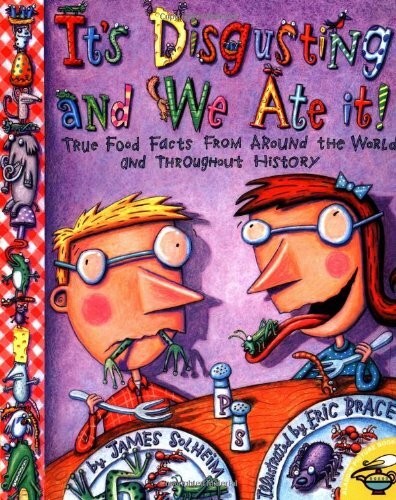 Illustrated by the wildly-creative Eric Brace, It's Disgusting -- and We Ate It! is a fascinating look at culinary creations from all over the world! 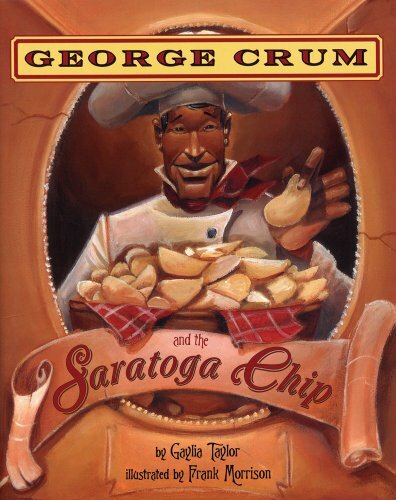 An account of the life and career of George Crum, a biracial chef who is credited with the invention of the potato chip at a Saratoga Springs, New York, restaurant in 1853. Based on historical records. 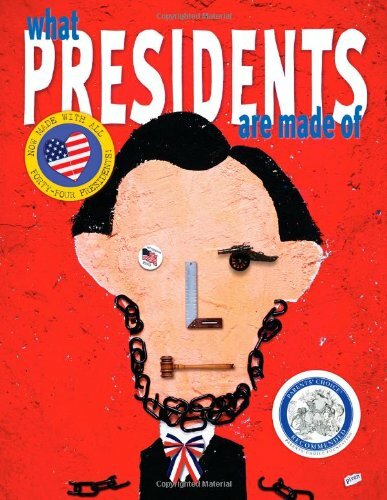 In paperback for the 2012 election, this sophisticated and playful look at U.S. presidents includes a new portrait of President Obama. See America's presidents as never before—made of objects! Using everything from blue jeans to boxing gloves, Hanoch Piven “builds” the characters of eighteen of our nation's leaders. Revealing anecdotes accompany the creative collages and lend insight to the charismatic personalities of prominent presidents from George Washington to Barack Obama, resulting in an irresistible resource that transcends party lines. Introducing Smart About Scientists! These books feature fascinating biographical information about the world's greatest scientists, ideas on scientific thinking, and real science experiments kids can try at home. Annie Marcus is just nuts about peanut butter! 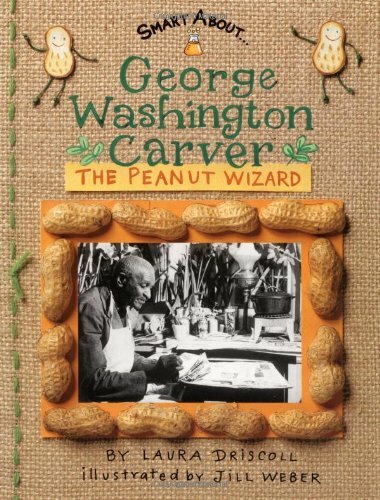 When Annie finds out that George Washington Carver was responsible for the popularity of peanuts, she picks him for her scientist report. Annie learns all sorts of fascinating info-George Washington Carver was born into slavery, but his dedication and unquenchable thirst for knowledge drove him to become a professor at a time when most institutions of higher learning were closed to blacks. This title explores Carver's brilliant career and discoveries, as well as his triumph over segregation to become one of the world's most renowned plant experts. On a summer day in 1932, twelve-year-old Sammy Lee watched enviously as divers catapulted into the public swimming pool. Sammy desperately wanted to try diving himself, but the Korean American boy ― like any person of color ― was only allowed to use the pool one day a week. This discrimination did not weaken Sammy's newfound passion for diving, and soon he began a struggle between his dream of becoming an Olympic champion and his father's wish for him to become a doctor. Over sixteen years Sammy faced numerous challenges, but he overcame them all and fulfilled both his dream and his father's. In 1948 Dr. Sammy Lee dove into Olympic history. A matter of seconds after his final platform dive, the scores appeared and Sammy Lee became the first Asian American to win an Olympic gold medal. Sammy Lee's story of determination and triumph sets an extraordinary example for anyone striving to fulfill a dream. 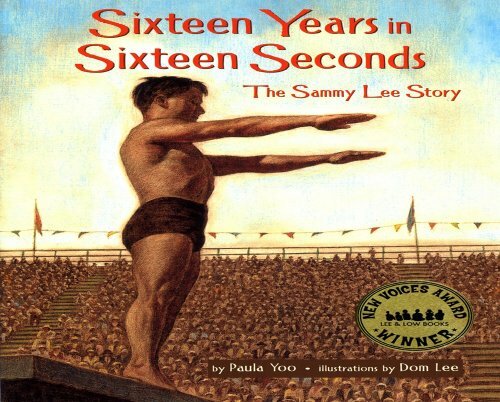 Winner of Lee & Low's New Voices Award, Sixteen Years in Sixteen Seconds will inspire all who read it. On an island called Puerto Rico, there lived a little boy who wanted only to play baseball. 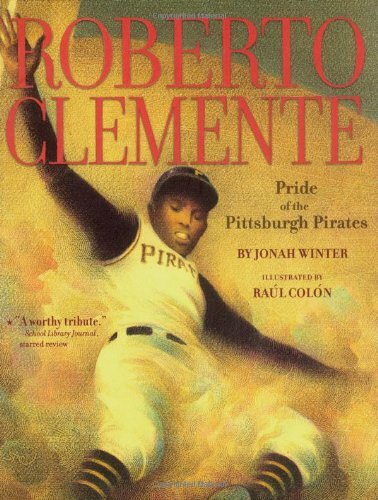 Although he had no money, Roberto Clemente practiced and practiced until--eventually--he made it to the Major Leagues. America! As a right-fielder for the Pittsburgh Pirates, he fought tough opponents--and even tougher racism--but with his unreal catches and swift feet, he earned his nickname, "The Great One." He led the Pirates to two World Series, hit 3,000 hits, and was the first Latino to be inducted into the Hall of Fame. But it wasn't just baseball that made Clemente legendary--he was was also a humanitarian dedicated to improving the lives of others. 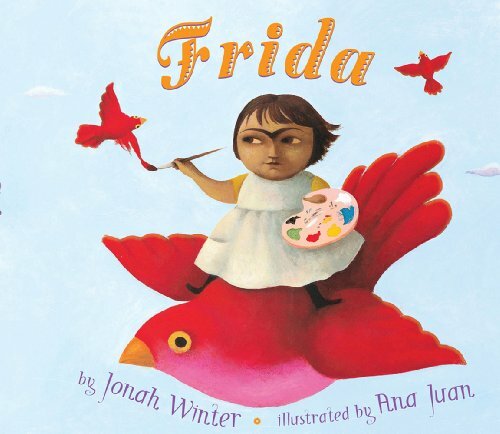 This long-awaited companion to Jonah Winter's acclaimed DIEGO features the paintings of young Spanish artist, Ana Juan. 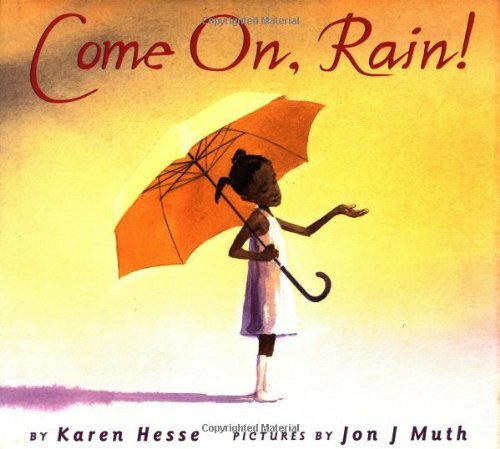 This stunning picture book is the perfect gift for art enthusiasts of all ages. Following the cycle of life from the animals' point of view, this new series approaches the natural world in a completely unique way. Written in a conversational style that will draw in readers of all ages, DK 24 Hours let you get up close and personal with the natural world. 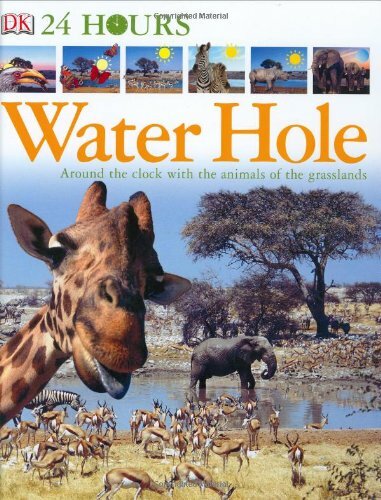 Open this book and a massive T. REX springs out, flashing a startling jawful of jagged teeth. Turn the next spread and a ravishing raptor unfurls and appears to fly off the edge of the page. 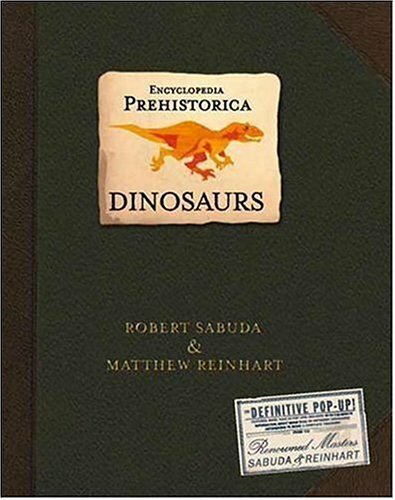 Inside the amazing ENCYCLOPEDIA PREHISTORICA: DINOSAURS are "shield bearers" in full-body armor, creatures with frilly headgear, and weighty, long-necked giants. There are even amusing tidbits on the history of paleontology itself — like a pop-up version of a Victorian New Year's dinner in the belly of a dinosaur model, or a pair of scientists locked in a literal tug-of-war over bones. Does your dog sleep a lot? Maybe he or she is bored. 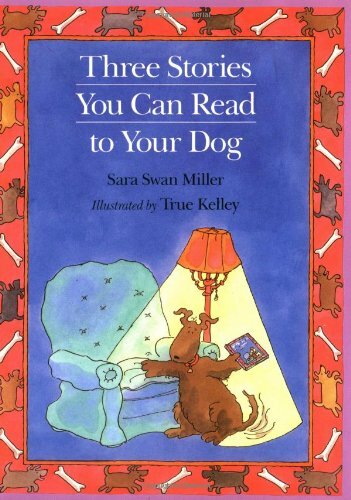 Why not try reading these three stories to your dog? Accompanied by lively illustrations, they are all about the things dogs understand best -- burglars, bones, and running free. 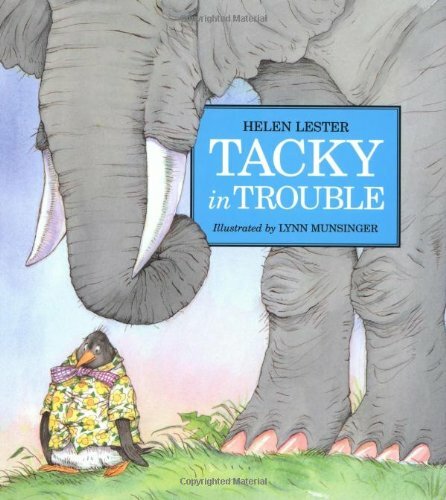 Tacky the Penguin goes windsurfing and ends up on a tropical island, captive to an elephant who, upon seeing Tacky's floral Hawaiian shirt, mistakes him for a bouquet of flowers. The elephant thinks that Tacky would make a pretty centerpiece, so she arranges him in a vase and sets him on her table. Tacky's fans are sure to delight in the show as Tacky uses all of his best penguin moves to wriggle himself out of this hilarious jungle mix-up. 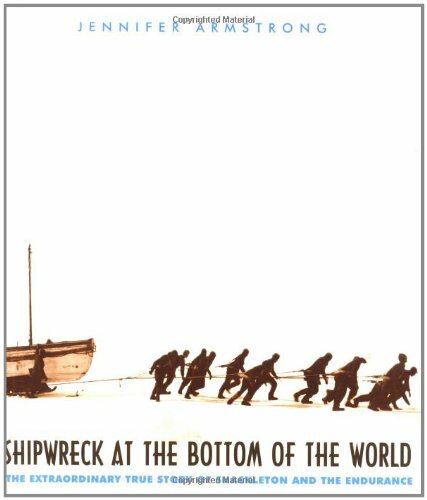 Only the team of Helen Lester and Lynn Munsinger could pull off a tale of such far-fetched adventure. They are masters at the art of creating silly stories and beloved characters that make children laugh out loud. 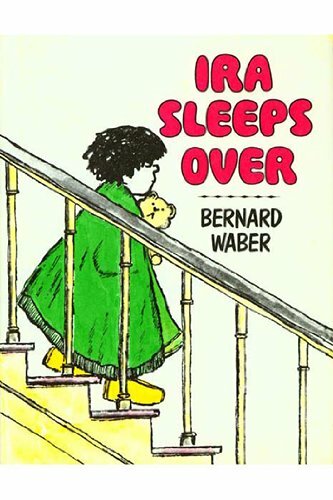 Watch out, Junie B., there's a new kid on the block! It's Freddy Thresher, a 1st grader who knows it's a jungle out there. Here's the fourth in a new series by an elementary teacher who's seen it all. "I have a problem. A really, really, big problem. I want to try out for the peewee hockey team, but so does Max . . ."
Bullies are a problem in school, and Max Sellars is the worst one yet. In addition to hassling Freddy, Max also challenges him for the open spot on the peewee hockey team. Freddy's close friend Jessie is a star hockey player, and she secretly teaches him some rules and tricks. In a warm and funny ending, Max and Freddy make peace with one another, and--in a surprising twist--end up becoming teammates. Here's the first book in the hilarious Moxy Maxwell series, which includes Moxy Maxwell Does Not Love Writing Thank-you Notes and Moxy Maxwell Does Not Love Practicing the Piano. It wasn't as if Moxy hadn't tried to do her summer reading. She and Stuart Little had been inseparable all summer, like best friends. If Stuart Little wasn't in her backpack, it was in her lap . . . or holding up the coffee table . . . or getting splashed when Moxy went swimming. But now it's the end of August—the day before fourth grade. 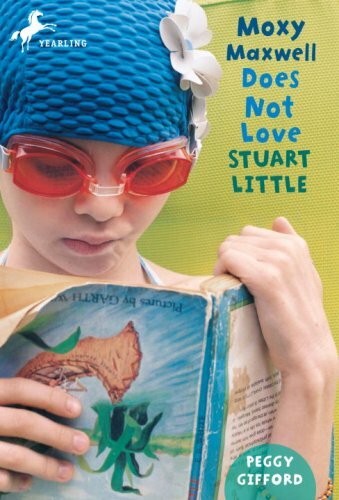 And if Moxy doesn't read all of Stuart Little immediately, there are going to be "consequences." It may look like Moxy is doing nothing, but actually she is very busy with a zillion highly crucial things—like cleaning up her room (sort of) and training her dog and taking a much-needed rest in the hammock. Just look at the pictures her twin brother Mark takes to document it all—they're scattered throughout—and you'll see why it's so difficult to make time for a book about a mouse. Of course our heroine does manage to finish her book, falling so in love with it that she finds herself reading under the covers with a flashlight, late into the night. 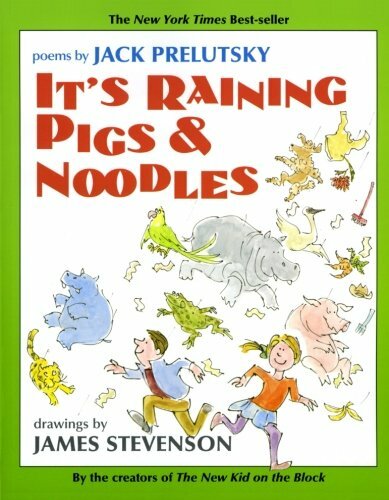 The master of mischievous rhyme, Jack Prelutsky, and his partner in crime, James Stevenson, have whipped up a storm of more than one hundred hilarious poems and zany drawings. Grab your umbrella—and make sure it's a big one! Ira is thrilled to spend the night at Reggie's, until his sister raises the question of whether he should take his teddy bear.What would Reggie think? Of course Ira's big enough to sleep without his beloved bear . . . isn't he? 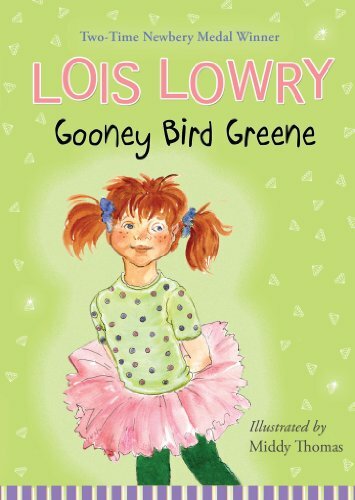 From the moment Gooney Bird Greene arrives at Watertower Elementary School, her fellow second-graders are intrigued by her unique sense of style and her unusual lunches. So when story time arrives, the choice is unanimous: they want to hear about Gooney Bird Greene. And that suits her just fine, because, as it turns out, Gooney Bird has quite a few interesting and “absolutely true” stories to tell. Through Gooney Bird and her tales, acclaimed author Lois Lowry introduces young readers to the concepts and elements of storytelling. 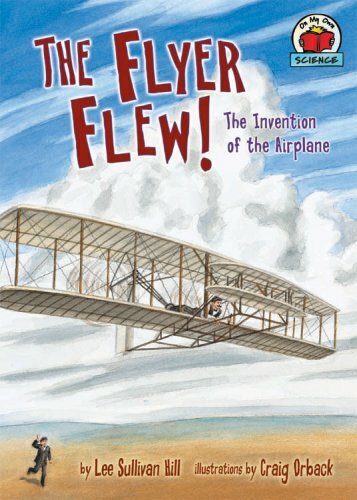 By demonstrating some of the simple techniques that reveal the extraordinary in everyday events, this book will encourage the storyteller in everyone. Poor Monsieur Gator is getting old and is moving so slow he can't catch himself a taste of possum or otter, or even a whiff of skunk. Day after day those animals tease and taunt him until, finally, he decides to cook up some gumbo just like Maman used to make. But who will help him boil, catch, sprinkle, and chop? Certainly not rude Mademoiselle Possum, ornery Monsieur Otter, or sassy Madame Skunk. 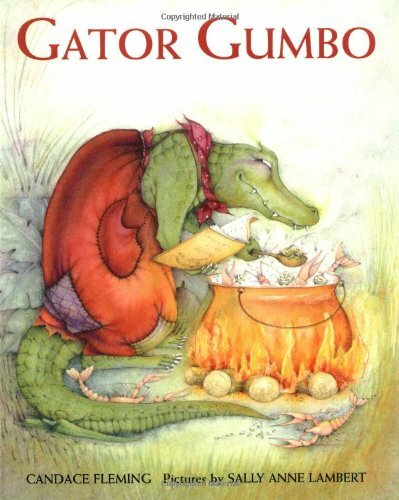 But when the gumbo is ready, they're more than eager to enjoy the result of Gator's hard work and as they run to get a taste - "Slurp! Slip! Plop! Them animals go into the pot." "Mmm-mmm," says Monsieur Gator. "Now, this is gumbo just like Maman used to make." 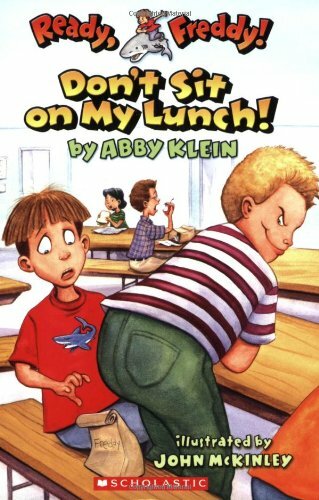 Illustrated with wit and whimsy, this mischievous tale will have young readers laughing out loud. Orville and Wilbur Riot have never been strangers to adventure, and according to Riot Brother Rule #15, You can't do the same mission twice. So now they're back with more games, more missions, and loads more fun. 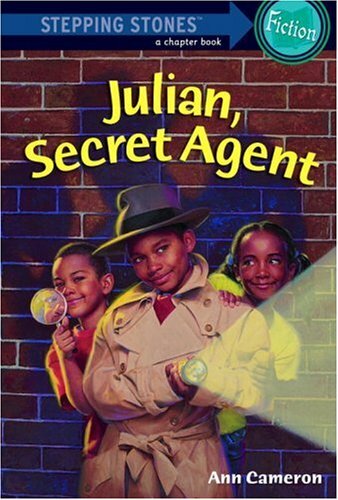 One day they are spies on the trail of dangerous criminals, the next they are movie stars in the making. But whether they're flinging insects while playing Bye-Bye Buggie or switching everything imaginable around for their [D]witch [S]ay, one thing is for sure: You'll never catch these brothers with nothing to do. 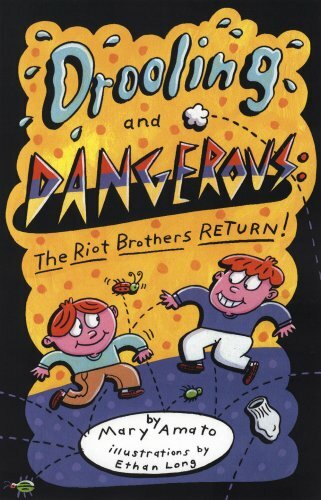 After all, as the Riot Brothers say, A bad day is like bad breath. It just gets worse unless you do something about it. As the Romans storm the last stronghold of Dacia, Princess Ademeni awaits her fate. Taken as a slave, she is deposited into General Marcus Cordovis's home as a gift. Driven to avenge her family, Ademeni plots to kill her captor and escape. Though not the cruel victor she expects, Marcus keeps her too close to make escape easy—so close that Ademeni is soon tormented by an unbidden, traitorous attraction. In a moment of weakness, a passionate kiss almost undoes them both. But the handsome, widowed general has another surprise for Ademeni: a young daughter. Marcus dares ask Ademeni to help him bridge the gap between him and his little girl. And now, Ademeni is growing too fond of those she is supposed to despise. As Marcus prepares for the triumphal march and the opening of the gladiatorial games—where captives of her homeland will be sacrificed—Ademeni readies for her own battle—between revenge and love. 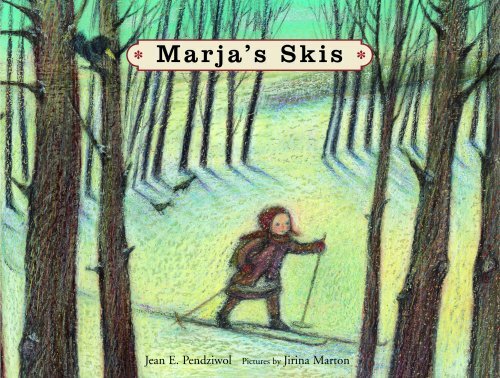 Marja admires her brave, strong father as he goes off into the woods and brings back a sleigh full of logs. She also looks up her older sister and can't wait to join her in skiing to school. When Marja turns seven, she's finally ready. Her father tells her, When you are strong inside, you can do anything,” and despite her mother's fears, she skis off to school on her own. Then a shocking event turns Marja's world upside down. How will she cope? Evocative prose and beautiful illustrations bring this moving tale, set in a 19th-century Canadian logging town, to life. 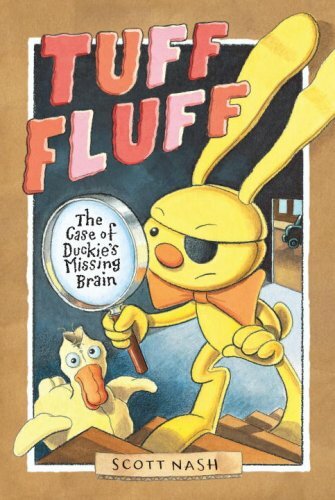 With retro flair and pun-filled prose, Scott Nash takes young readers on a comical adventure into the underbelly of the stuffed animal world. He might look like nothin' but a moth-eaten stuffed animal, but to the residents of Los Attic, this shabby rabbit is Tuff Fluff, Private Eye. No case is too tough for his fluffy mind . . . except maybe the case of Duckie's missing brain. "Someone's been playing foul with this fowl," the hard-boiled detective declares. But as he plunges into the dark and dusty places, showing his smarts —- and his soft side —- can he find enough clues to fit together the pieces of this peculiar puzzle? On Saturday, Jackson and his O best pal, Goat, hide treasures for each other to find. 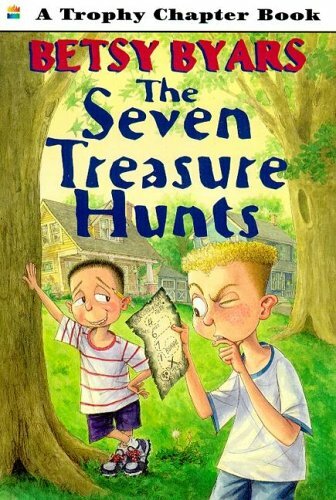 It's the Hunt for the Secret Treasure -- and it's so much fun that the boys decide to do it all over again. This time, the hunts will be trickier, and the prizes will be outstanding. But everything goes wrong. The best treasure of all disappears from its hiding place. Only one person could be responsible: the ogre, also known as Goat's older sister, Rachel. Can the two friends find the treasure before she gets the last laugh? 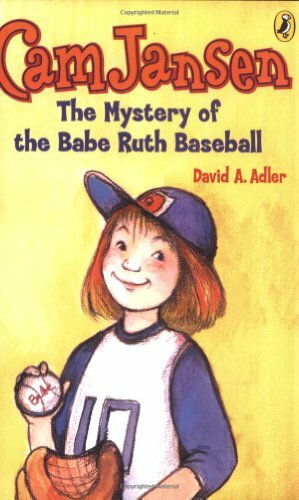 Mysteries follow super-sleuth Cam Jansen everywhere she goes...even to the community hobby show. Cam and Eric are checking out a sports memorabilia booth when a baseball autographed by Babe Ruth disappears. 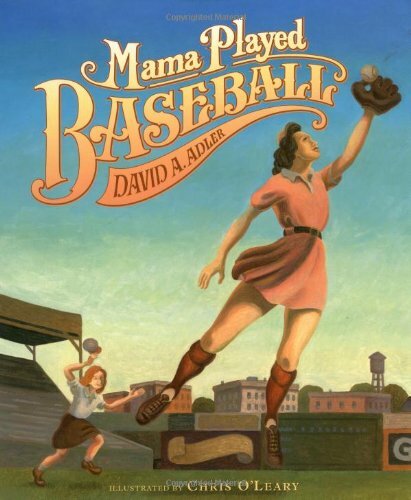 Can Cam catch the thief and recover the Babe's ball?